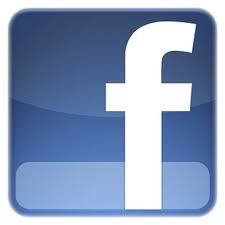 Please check out our Facebook page here. "The 411 on WWW Provider Sites "
Parents can use our online directory to find child care in your area! All providers in our Association are licensed. EWFCCA encourages parents to ask if their provider is a member of this professional organization and can assist parents with basic questions regarding the business of family child care, Minimum Licensing Requirements, ADA Laws, Working Connections Child Care and other parent/community resources. For greater needs, EWFCCA will refer parents to Family Care Resources, The Division of Child Care and Early Learning, their local DSHS Office or the community resource most closely associated with their need. EWFCCA offers affordable and pertinent STARS approved training and workshops throughout the year as well as an annual "Reach For The STARS" Conference the first or second Saturday of March. EWFCCA's highly respected newsletter keeps providers informed and connected and is free with each membership. An online directory is offered for licensed providers to assist parents in finding quality day care. EWFCCA offers resources and assistance to anyone with questions or concerns that relate to the child care field. We would be glad to help you; simply contact us via our web site. This page has been viewed times since May 16th, 2004.